Most folks are not aware that when one lectures about their life experiences at an institution of Harvard Medical Schools magnitude you know that you are about to be placed directly under their microscope for an up close look. Nevertheless so where they because I took advantage of the opportunities to observe these physicians who actually possessed the power and influence to maintain or change the path of "Modern Medicine" with their signature, directive, verbal order or even the snap of their fingers. 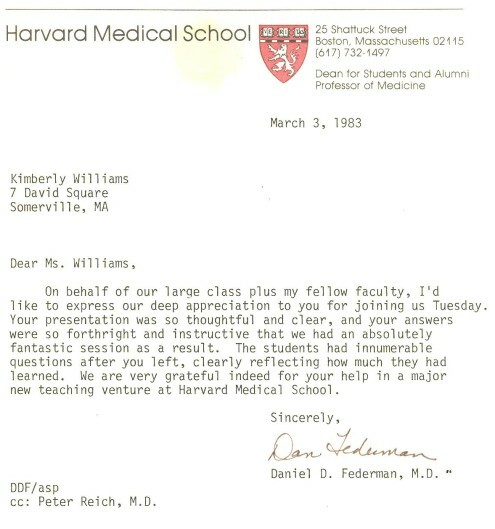 In the upper echelons at Harvard Medical School and other prestigious medical institutions this is how it is done because as always there is very small percentage of the ruling elite that makes all the decisions regarding the quality of our healthcare. The first lecture consisted of a full house and every seat at the Countway Library amphitheatre where taken with some of Boston's most eminent physicians where standing in the aisles. When walking to the podium it was thrilling to have a round of applause and when I'm looking around they are they where applauding myself, than I thought all this for me? Well, I thought what a wonderful opportunity to express my thoughts and beliefs because here is one of life's rare opportunities to articulate my concerns about the inequality and lack of available medical services that where difficult if not impossible for a TS woman to attain. People say that life is not fair and quite a few us believe that one person cannot make a difference however without one doubt I believe it's an individual who always makes the difference when least expected. In every social movement there is hierarchy with rules and regulations that cannot be breached without consequences. During my lectures there was overwhelming desire to express the reality that the medical profession is totally biased and uninformed and without one doubt they are directly responsible for more inequality inflicted upon the "Transsexual Community." The ruling elite of the medical profession during the 1960's, 1970's, and 1980's and up till this very day has suppressed the truth of definitive scientific research from being released. You ask what is this research has not been released? The scientific results prove beyond a shadow of a doubt that being a Transsexual is genetically inherited condition. Fact its also know that the "Insurance Industry" has gone to great lengths to totally suppress this DNA evidence because they do not want to pay benefits. In addition the "Insurance Industries" lobbyists work hard to influence the conservative religious element our government to vote and promote their viewpoint, which denies us our rights to quality medical care like anyone else. Every day of our lives is precious although I like to believe that I planted my thoughts and hoped in some way that just one thought or two took root and made a difference. However I like to point out that our political system more or less constantly repeats itself and there is always the struggle of ongoing class warfare. No matter how far we evolve there will always be a group who claim to be oppressed and they rise to win their freedom and within them is always a new seed of discontent. Through out my life there is one sentence that I like to use and it is, "That what most people take for granted is hard earned privilege for a Transsexual." Of course this unfair and so is life however adversity spawns ones creativity that you have to work harder in all matters of life to be successful. Quite a few people would say that's a handicap nevertheless having a tuned creativity with the will to work harder has its advantages. Therefore the theme of my lectures at Harvard Medical School where about psychological strength and endurance while being able to overcome the shortcomings of an indifferent complicated society where being different is often held against you. Nonetheless Transsexuals are the world's smallest least understood minority who survive in a diverse indifferent complicated society where it is ongoing struggle to maintain your dignity let alone identity. 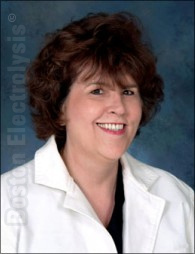 Kimberly Williams, R.E., Dean started her career as a Massachusetts Licensed and Registered Electrologist in 1979 and after graduating from America's best electrolysis school "Miss Kelly's Of Electrology" founded in 1933. She became a Massachusetts Licensed and registered electrologist after successfully completing her studies and combined curriculum of 1100 hours of Theoretical Sciences in Endocrinology, Histology, Bacteriology, Biology, Microbiology, Pharmacology, Anatomy, Physiology, Dermatology, Electricity, Sterilization, Ethics and Hygiene & Sanitation. Her practical training consisted of 600 hours and after graduation she successfully passed her Massachusetts Dual State Board 2-hour written examination and practical examination. Since 1979 Kimberly is America's only practicing Massachusetts licensed and registered electrologist that offers a written guarantee of excellence. In addition, Kimberly was guest lecturer at Harvard Medical School from 1983 to 1987 on the subjects of Human Sexuality, Endocrinology, Electrolysis and Transsexuals. Furthermore she is the author of the published Scientific Electrologist© Journals, 1,2, 3 and 4. 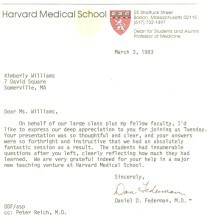 In 1985 Kimberly Williams, R.E., Dean in 1986 became America's First Computer Electrology Specialist©© while being distributor for the R.A. Fischer Company the manufacturers, inventors and innovators of the first Medical Grade Computerized Epilators. Additionally Kimberly authored The Electrologists Diagnostic Case History, 1991© and The Electrologists Insertion Guide© 1993. Furthermore she authors all Certified Educational Upgrades and instruction articles for The Boston School Of Electrolysis© AKA www.bostonschoolofelectrolysis.com America's largest and informative electrolysis website written entirely by herself. In addition she is the "Chief Editor" author and publisher for The Five Star Electrologist© America's Online Electrolysis News & Education For The Electrologist and Consumer©. In addition and she also authors the Boston School Of Electrolysis©, Electrolysis Exposé's byline Spotlight on Slime© of known Internet criminals, cyber stalkers and Fake Consumer Hair Removal Advocates such as the emotionally disturbed and paranoid Andrea James of Deep of Deep Stealth Productions, 5419 Hollywood Blvd., Suite C142, Hollywood, CA 90027, Phone: 213-840-2602. Avoid her hate driven scam ridden prejudiced websites Tsroadmap.com, Hairfacts.com, Hairtell.com, Deepstealth.com and Andreajames.com. Last but not least on the positive side Kimberly is the president and founder of The Five Star Electrologists Guild© for licensed and registered electrologists only. In addition Kimberly is extremely adept in the computer technology field and is a former distributor for computerized medical grade epilators, which is an important factor in choosing the most efficient and advanced equipment for the patient's electrolysis treatments.